Weekly emails you’ll love to read. And a #freeNLP 40 page ebook to get you started with positive change! Did you know? We offer regular #freeNLP events so you can experience the difference our training makes. �Click here for our next dates. When you're ready to take another leap forward, NLP Canada Training has the depth and range of programs so that you can come back for further learning. �Dr. Linda Ferguson develops new, innovative training in response to the best practices in business, psychology and decision-making theory. She's remarkably good at bringing the very best in learning and development to every program at NLP Canada Training. �I was smart and compassionate and I kept tripping over my own edges.�It wasn’t hard to wind me up and engage me in a conflict. And the aftermath of conflict left me divided and stressed. NLP taught me to control my mindset so that I could see my edges and respect them. I learned to hurt myself less and to be more careful about my impact on others. I stopped getting pulled into unnecessary conflicts. I began to see people with deeper curiosity and deeper respect for the many ways they were finding to do their best with what they had. I renewed my love of the way language allows us to transform and share experience.�I began to own more of myself. I am a coach, a trainer, a storyteller, an author and a community builder. And I can’t wait to read the next book or attend the next event that will make me just a little bit better at any of those. 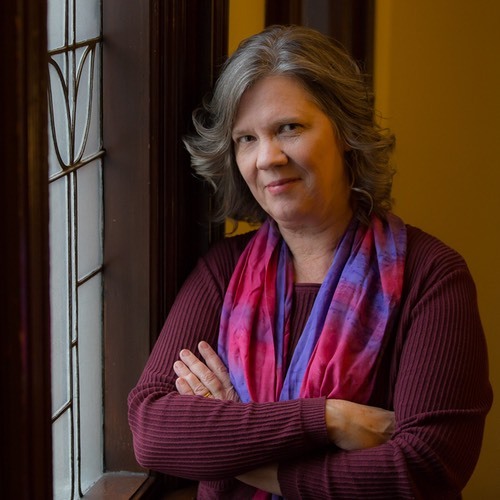 Linda combines exceptional expertise in metaphor and narrative with a broad knowledge of current thinking in related fields, including positive psychology, solution focused coaching, personality typing, and rhetoric. She mixes best practices from these fields to enable her clients to think and relate differently.